In other words, Cintas doesn’t know exactly how it is going to absorb G&K, but they are determined to do it anyway. They write about Cintas and G&K working together on the integration, but make no mention of their customers having any say! As just one of their one million business customers, do you really expect your concerns to be addressed? Acquisitions rarely provide a good experience for customers of the acquired company. Many people who work for acquired companies either quit or are terminated. The people who know you and your account may not be there much longer. Routes will be consolidated, so you may get a driver who isn’t familiar with your needs. Quality of products or services may suffer. The clothing and other items that you normally get may no longer be available. Cintas will push G&K customers into Cintas contracts, possibly before your current contract expires. You may not be happy with the new contract. Cintas may impose new or increased charges. You may be subjected to unwanted marketing for additional products or services. Cintas may fail to accurately integrate your company’s information into their database as they phase out the G&K database. That could seriously impact service or billing. Now that you are facing forced change, it’s the right time to switch to American Wear for the superior experience that only a family owned and operated company can provide. We serve customers, not shareholders! 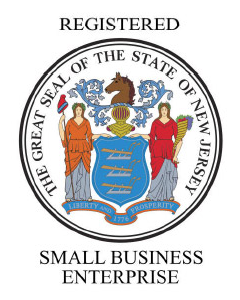 We are a Small Business Enterprise (SBE) registered by the State of New Jersey. Many government agencies and large corporations are encouraged to preferentially consider SBEs. Doing business with an SBE is a plus for businesses or agencies located in the New York – New Jersey metro area. We serve thousands of private businesses of all sizes, as well as municipal, county, and state agencies, non-profits, universities, etc.